Indian Railways have imposed speed restrictions on over 2500 kilometers of railway tracks that pass through inhospitable and difficult terrain and now Indian Railways is considering using geosynthetics on a large scale to improve the speed of the trains on these corridors. 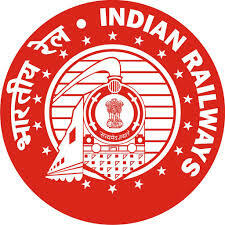 "There are over 2500 kilometers of the railway that have speed restrictions in the country, of which 2000 kilometer of tracks have restrictions only during the monsoon. However, we are now looking at using the geosynthetics technology to improve speed of trains on these corridors," said Brijesh Kumar, Executive Director (Geotechnical Engineering Division) of Lucknow-based Research Design & Standards Organisation (RDSO), an R&D body under the Ministry of Railways. "Most of these railway corridors fall in the Konkan belt, South and Eastern parts of the country and face problems of poor soil or rocky terrain," said Kumar who was here in Ahmedabad on Saturday to attend a Global Geosynthetics Summit. Some of the high-speed trains corridors to run trains between 160-200 kilometers per hour will not be successful without the use of geosynthetics that are generally polymeric products that are used to solve civil engineering problems like soil erosion, embankment protection, stablisation of roads and pavements and for rock fall protection works. "For instance, the corridor between Mysore-Bangalore-Chennai and the Nagpur-Secundarabad have a lot of formation problems that affect the speed of the trains. The use of geosynthetics becomes inevitable in such cases," Prasad added. According to the RDSO official, the usage of the geosynthetics within Indian Railways was "sparse". He however, raised queries regarding the service-life of these Geosynthetic products which was an important element for the Indian Railways.